Bio Home of the Top 25 and updates on college football, basketball and more from the staff of the @AP. Please also follow @AP_Sports, @AP_NFL and @AP_Deportes! 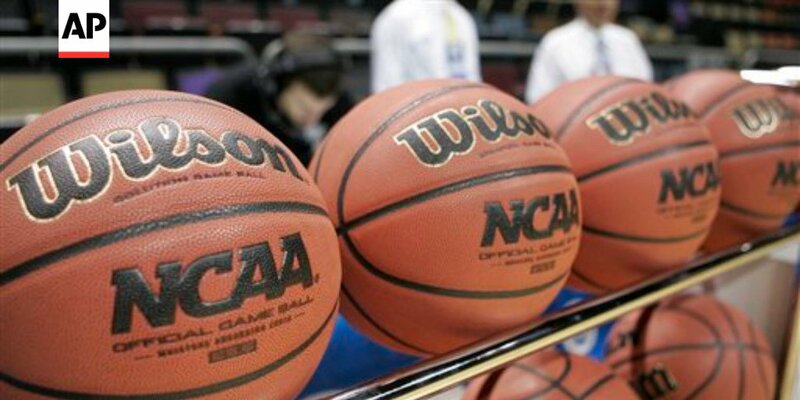 SocialFlow : Jury selection begins in trial of an aspiring agent and a former amateur coach charged with bribing big-school basketball coaches. SocialFlow : SPRING 'BALL: SEC teams look to find defensive stoppers after draft exodus. SocialFlow : D'Andre Swift uses spring to confirm his status as Georgia's undisputed leader at tailback. SocialFlow : This will be the first season since 2006 that the SEC will open a football season with no new head coaches. There has, however, been nearly a 40 percent turnover in offensive and defensive coordinators. SocialFlow : Kansas State wide receiver Hunter Rison indefinitely suspended after his arrest on a domestic battery charge. SocialFlow : SPRING 'BALL: 14 Big Ten football players poised to break out in the fall. SocialFlow : SPRING 'BALL: 7 Big Ten teams will extend QB competitions into preseason. 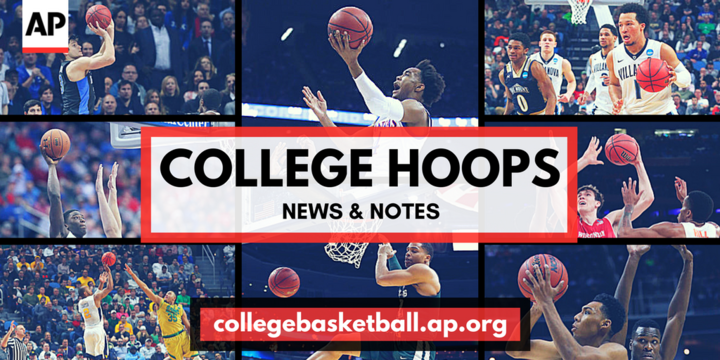 SocialFlow : Auburn forward Chuma Okeke declares for NBA draft. SocialFlow : Georgia sophomore forward Nicolas Claxton enters NBA draft.